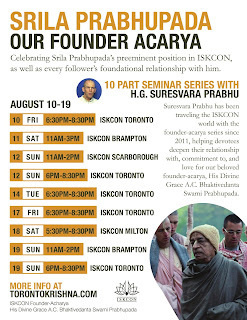 Srila Prabhupada - Our Founder Acarya Seminar ~ The Toronto Hare Krishna Temple! For millennia the teachings and the rich culture of bhakti-yoga, or Krishna Consciousness, had been hidden within the borders of India. Today, millions around the globe express their gratitude to Srila Prabhupada for revealing the timeless wisdom of bhakti to the world. Śrīla Prabhupāda did not simply carry the message of Lord Caitanya and Lord Krishna to us. While that in itself is a glorious task, Śrīla Prabhupāda, as the Founder-Ācārya, created the very foundation, function and vision of ISKCON as a global community aiming for the “respiritualization of the entire human society.” Śrīla Prabhupāda’s role, is ongoing. 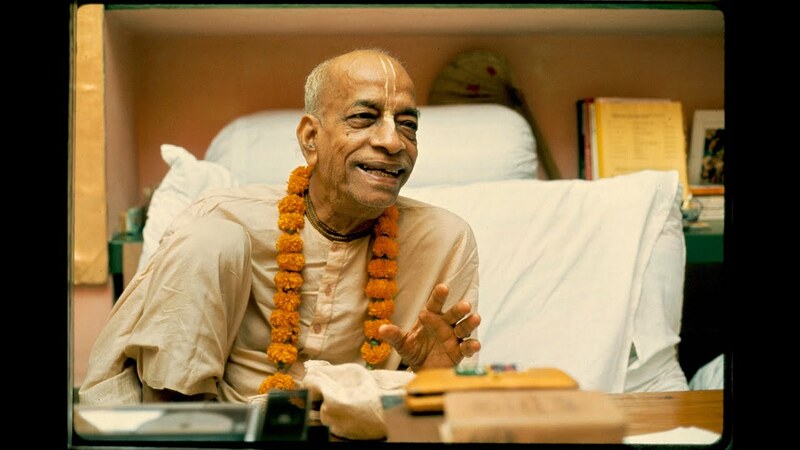 His presence is to be felt in the life of every ISKCON devotee today, and in the lives of devotees many centuries into the future. Understanding how Śrīla Prabhupāda is in the center of our lives and our society, and knowing how to keep him in that essential role, is the purpose of this course. 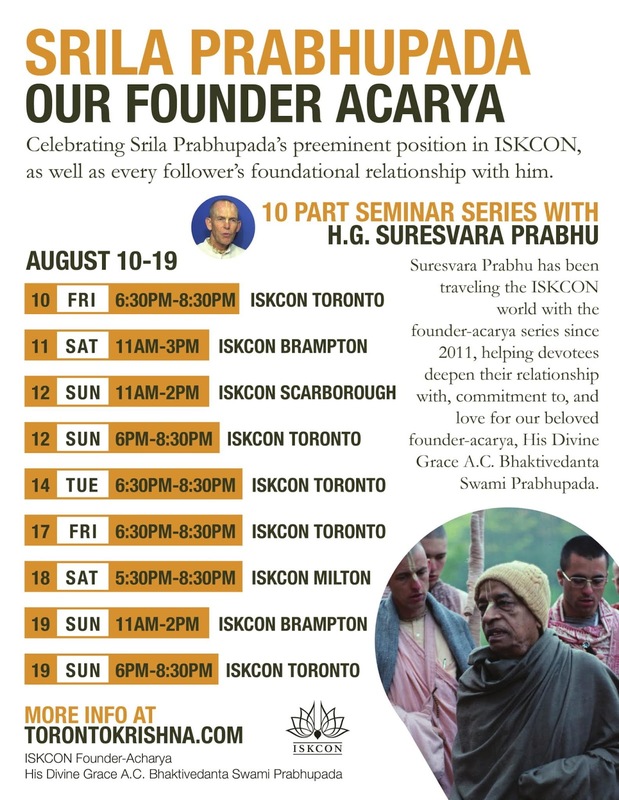 Please join in to participate in this series of Seminars - Founder Acarya, facilitated by HG Suresvara Dasa conveniently located all over the GTA to understand and celebrate the preeminent position of Srila Prabhupada in ISKCON as well as every follower's foundational relationship with him. writing articles based on them, and now, teaching from them.